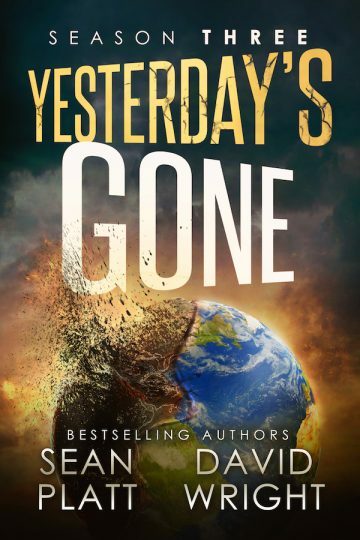 The #1 bestselling horror sci-fi series with over 1,000 5-star reviews continues here with Yesterday’s Gone: Season Three. The fight is on and the surviving humans don’t know if they’re on the winning side. As they battle The Darkness and fight to find their way home, the future has never felt more uncertain. Will they survive, or will The Darkness finally end them? The past is revealed, and as the remaining survivors discover the truth behind the mysterious disappearances, they uncover a danger far greater than anything they ever imagined. In Season Three of Yesterday’s Gone by Sean Platt and David W. Wright, all will finally be revealed. As this gripping post-apocalyptic series intensifies, your questions will be answered and new ones will arise. Elements of The Stand and LOST, with a dash of alien invasion, make this series one for the ages. Join Team Boricio by Grabbing your copy of Yesterday’s Gone today!